Since I shared the Iron Man Shirts of Folded and Hung (read here), I am now going to introduce you to budget-friendly ones: I Love Manila Shirts by Kultura. Are you the type of person who loves buying shirts with "I Love [insert name of city/country]" design? If you are a traveler, I'm pretty sure that somehow, you got tempted to buy shirts like this when you visit a certain province or country. I myself own two: my "I Love Cebu" shirt, and a personalized "Love Camsur" shirt from Islands Souvenirs. 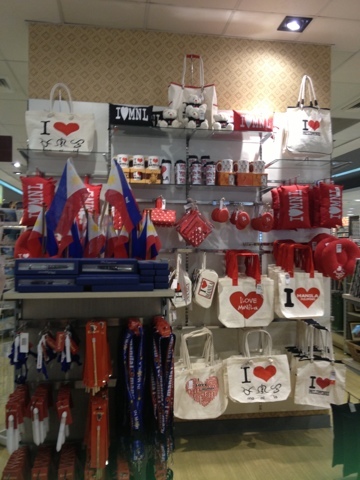 I am not sure if you have seen this I Love Manila products from Kultura section in SM Megamall. 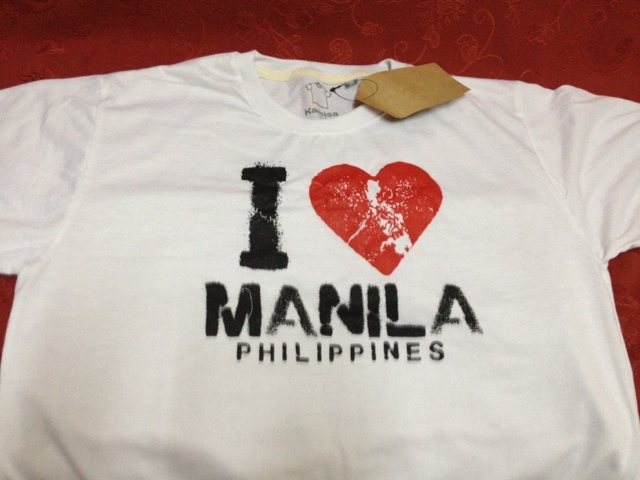 They have different items from bags, caps, shirts and other things, all of which contains different version of "I Love Manila". But for this post, I'll focus on their line of shirts that caught my interest. 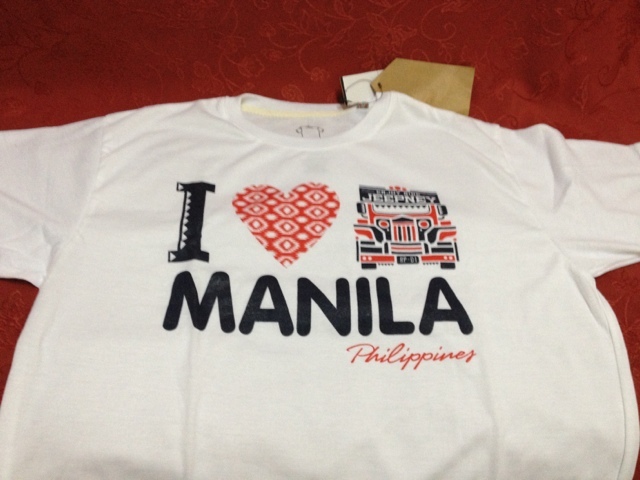 They have this set of white cotton shirts with catchy designs of "I Love Manila". They are only available in free size, however, the good side of this collection is that they have an ongoing promo of paying only P299.75 when you buy 3 shirts. Yes! It is indeed a total bargain. When I first bought this shirt, the promo available that time was buy 2 for P299.75. SO I purchased a 2 sets. Then on my next visit, I saw that they lowered the price so I bought a set again (this time I got 3 shirts). I only took one of the shirts and gave the others to my family and uncles. Did you find this bargain enticing too? If you did, then I suggest that you visit Megamall right away before the promo ends. Happy shopping! Everyone loves shopping, but most of them consider their budget. Most people consider Tiangge, ukay-ukay and the never ending mall sale because it save them money.